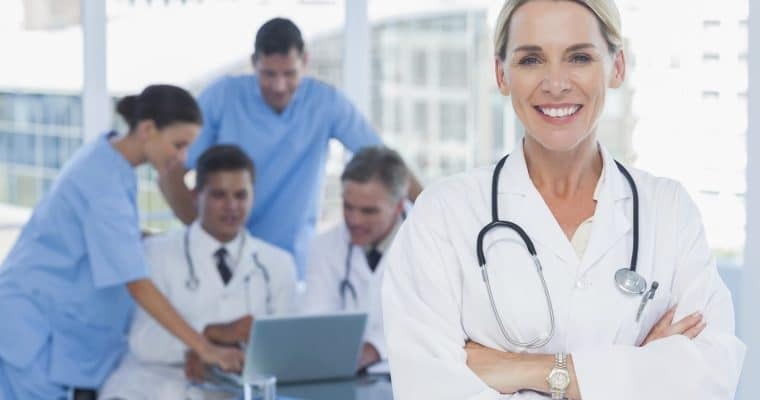 Connect to a pool of specialists with a mobile, durable telemed tablet equipped for speed and ease of use. 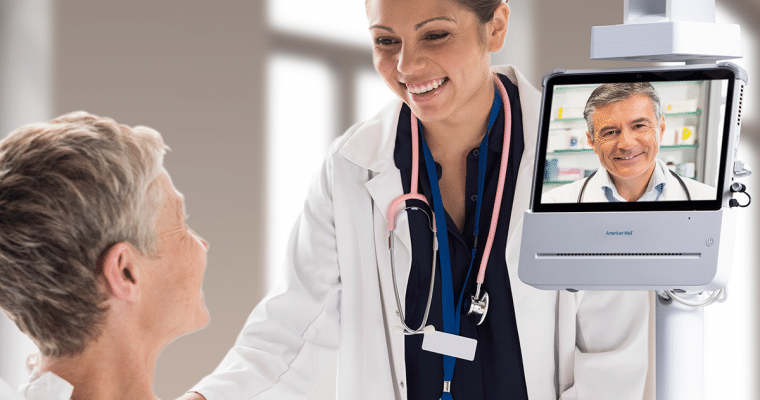 The American Well 300 Telemed Tablet brings remote providers to the patient's bedside. On-site clinicians have access to multiple provider types at the start of a consult. The 300 Telemedicine Tablet includes integrated peripherals, EMR integration, and automated image transfer. Long-lasting battery and a medical-grade charging cord makes this tablet ready for immediate use. Fully equipped with a keyboard, mouse, and 22-inch display screen that allows clinicians to input data easily. Pair photos before or during the visit, ensuring full clinical context at the time of care. Through the HIPAA-compliant Sidekick app, photos are transferred but not stored. Ideal for quickly sharing an x-ray or medical record, Sidekick helps providers make time-sensitive decisions. Each tablet supports up to 12 different specialties - expanding its versatility and coverage. Determine the order in which clinicians are paged to ensure the proper escalation pathway. The 300 Telemed Tablet workflow ensures the providers understand where they are needed - and why. Looking for more information or ready to schedule a demonstration? 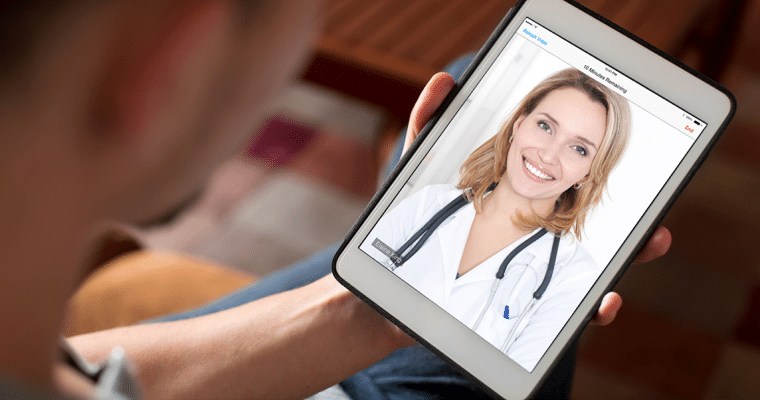 Break down barriers to care and connect your patients to the care they need with these solutions. Bring your best providers to the patient’s side and deliver timely, specialized care. These versatile tablets can be found on tabletops, in ambulances, and mounted on carts. Digital stethoscopes and peripherals expand remote diagnostic capabilities. Deliver superior service by integrating a full suite of diagnostic devices.